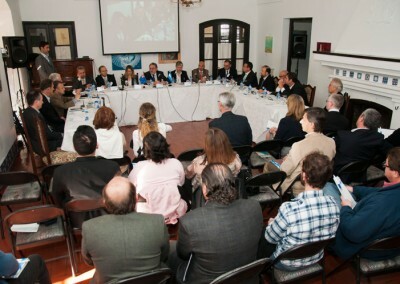 The Argentine delegation meets government officials, 16 Aug. 2012: (5th from left) The Hon. 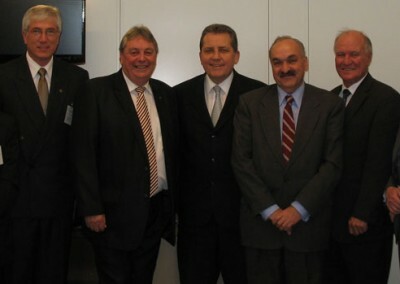 Sid Sidebottom, Parliamentary Secretary for Agriculture, Fisheries and Forestry; (6th from left) The Hon. 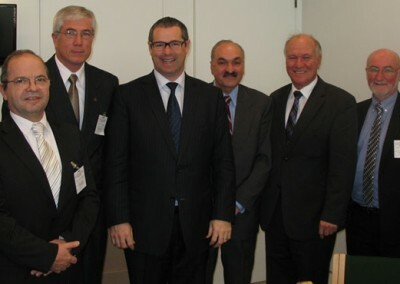 Chris Evans, Minister for Tertiary Education, Skills, Science and Research. 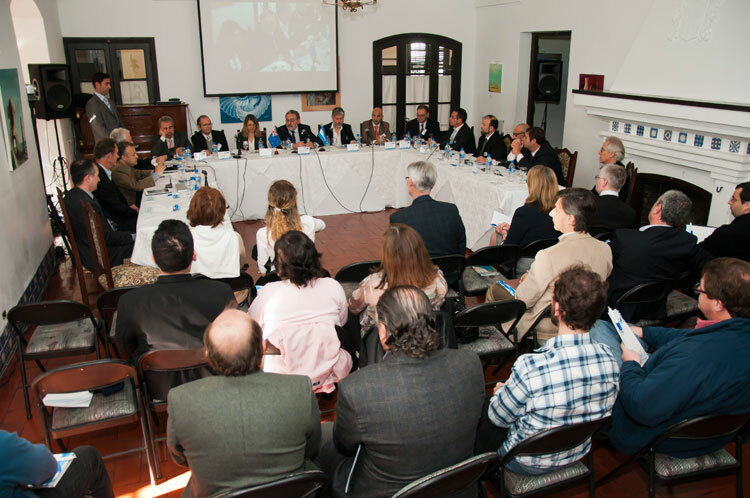 The Argentine delegation meets government officials, 16 Aug. 2012: (4th from left) The Hon. 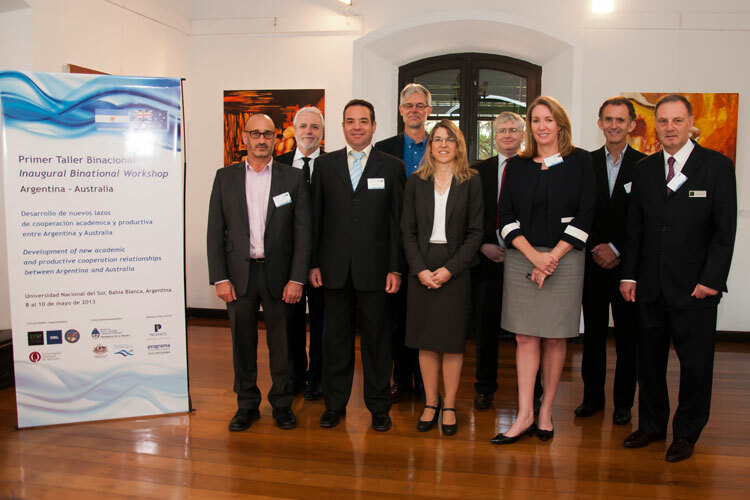 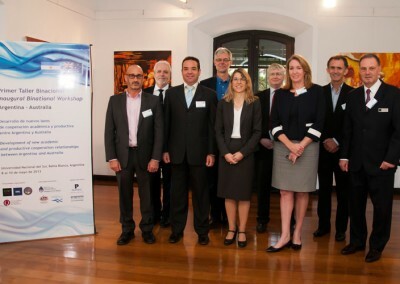 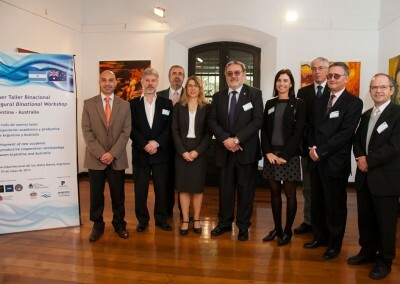 Stephen Conroy, Minister for Broadband, Communication and the Digital Economy (5th from left); Argentinian Ambassador to Australia, Pedro Villagra Delgado; (6th from left) Tony Windsor, MP, Member for New England. 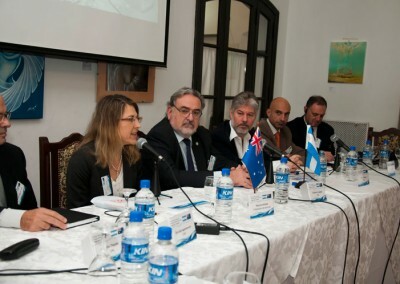 The Argentine delegation in the New England, 21-22 August 2012: (L—R) Prof. Peter McKeown, Head of School of Rural Medicine; Assoc. 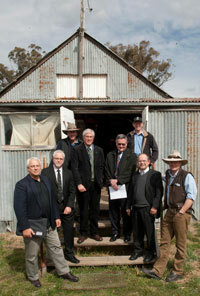 Prof. Stephen Winn, Academic Director; Mr Paul Arnott, Manager, Armidale Rural Properties; Arq. 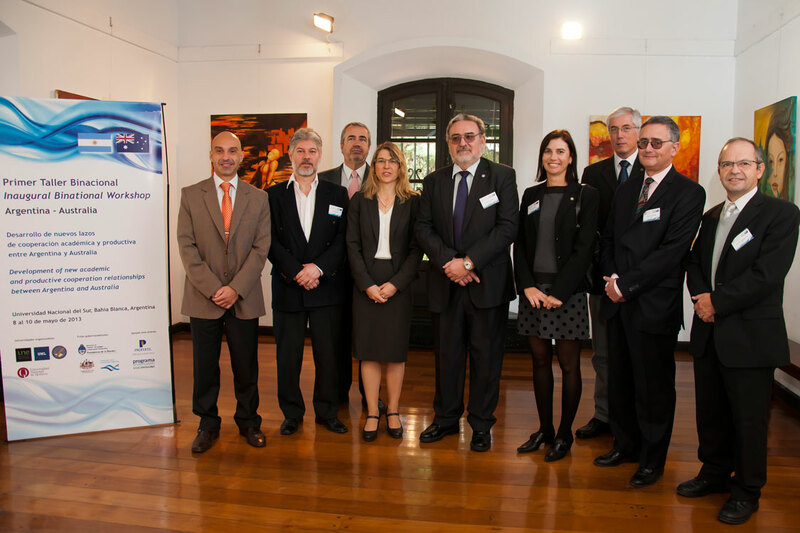 Miguel Rodregue Universidad; Nacional Del Litoral; Arq. 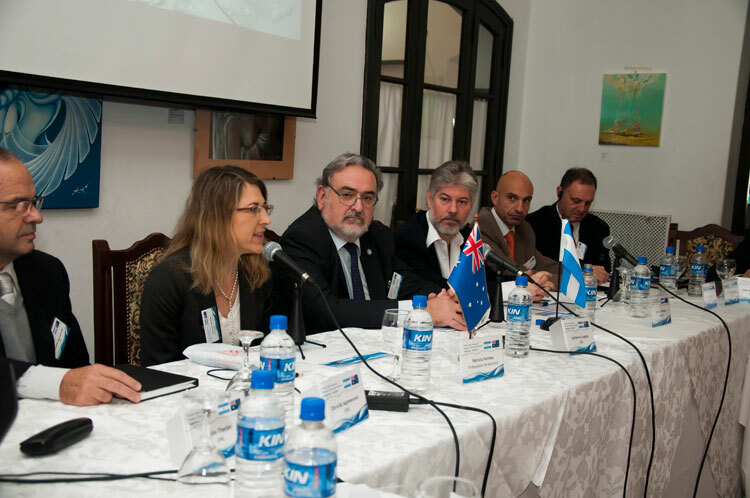 Juan Luis Merega, Universidad de Quilmes (UNQ); Dr Ken Geenty, Principal Research Felloe CRC for Sheep Industry Innovation / Academic Manager Rural Properties; Dr.Osvaldo Agamennoni, Universidad Nacional del Sur; Prof. David Lamb, Deputy, Head of School Science and Technology and PARG leader. 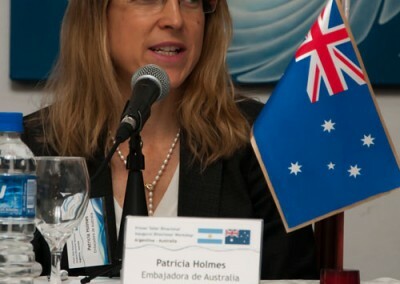 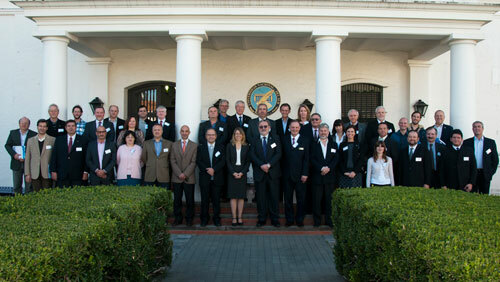 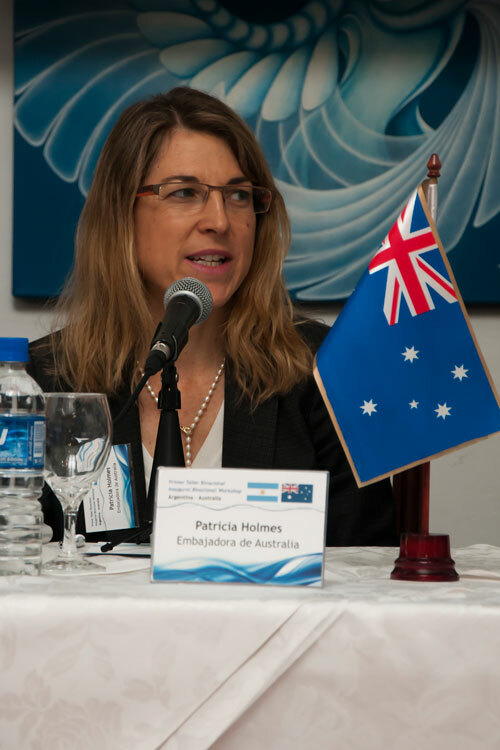 The Australian and Argentinian workshop delegation.